There is an open debate regarding Salvador Dali’s attitude towards Jews. Due to his initial sympathy to Hitler and his decision to live in Franco’s Spain. 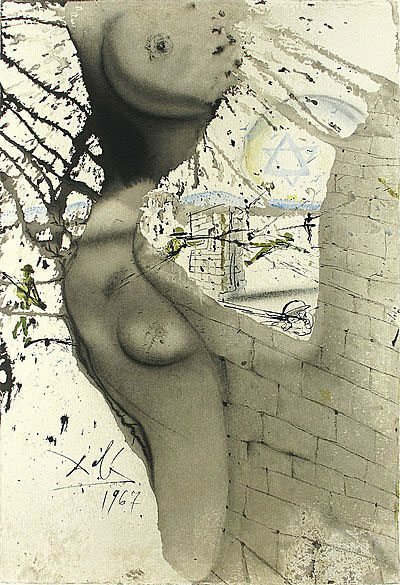 But in 1968, Dalí published a 25 print edition, in 250 copies, paid by the Shorewood Publishing and Israel Bonds to celebrate Israel’s 20th anniversary. Works that eventually extended the original commission and were rich with feeling, sensitivity and a dose of respect. 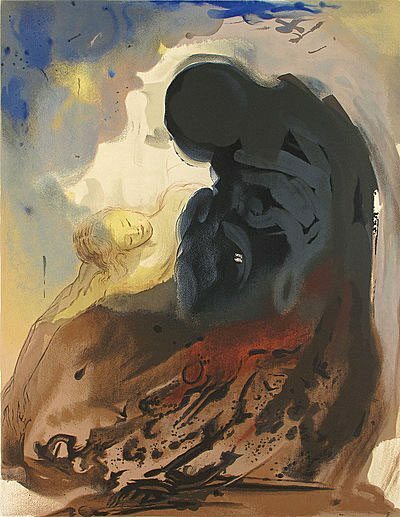 The April 1968 issue of Hadassah Magazine, marking Israel’s anniversary of the State of Israel caught the excitement of Dali’s new work entitled “Aliyah, The Rebirth of Israel”. 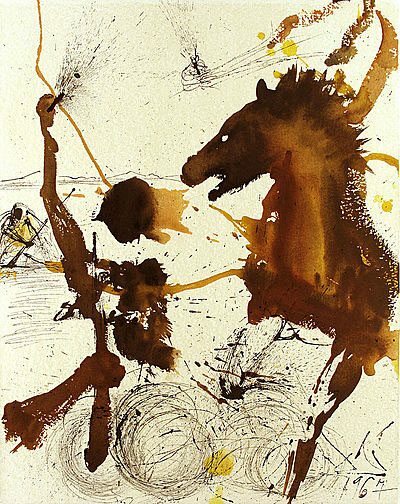 “An epic history of the return of the Jewish people to their homeland — expressed in 25 bold, dramatic, yet sensitive drawings, sketches and water-colour paintings by the surrealist master, Salvador Dali — will shortly be added of the art treasure of Israel and museums and collectors throughout the world. Appropriately titled “Aliyah, The Rebirth of Israel,” the series of paintings captures the spirit of the Jews from the first days of the exile and for nearly 2,000 years in the diaspora until their final return to their cherished soil of Israel. Embracing a wide spectrum of moods, from gaiety to deep drama to stark tragedy, it culminates in the ultimate triumph of justice and the joyous restoration of the nation. The world premiere exhibit of the series is scheduled for April 1 at the Gallery of Modern Art (Huntington Hartford Museum) in New York, for the benefit of Bonds for Israel. Following 20 days of public showing, lithographs of the set will go on view in Israel and in leading cities of the Unites States and Europe. 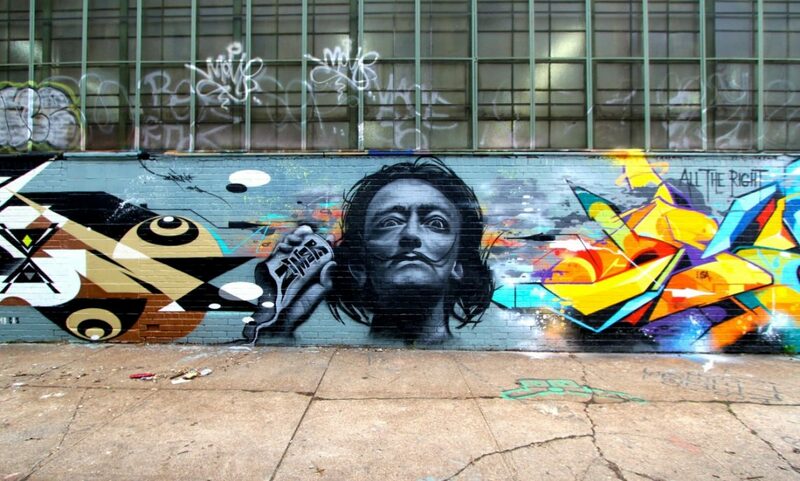 Commissioned by Shorewood Publishers, a New York firm noted for publications of art, Dali devoted two years to the completion of this monumental task. His chronicles of the people are clearly stamped with his own unique poetic expression. 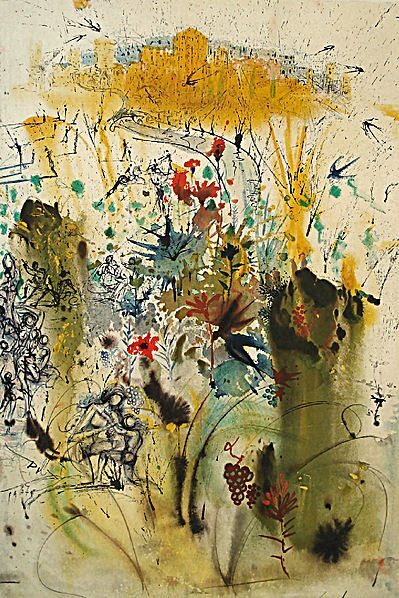 Some are extremely lyrical, others sweeping and epic … According to Shorewood, following sale of the original paintings, 250 sets of lithographs will be made available to leading museums and individual collectors. Portfolio No. 1 will be presented as a gift to the Israel Museum in Jerusalem where an exhibit of all the originals is slated to coincide with the celebration of the 20th anniversary of Israel’s independence. 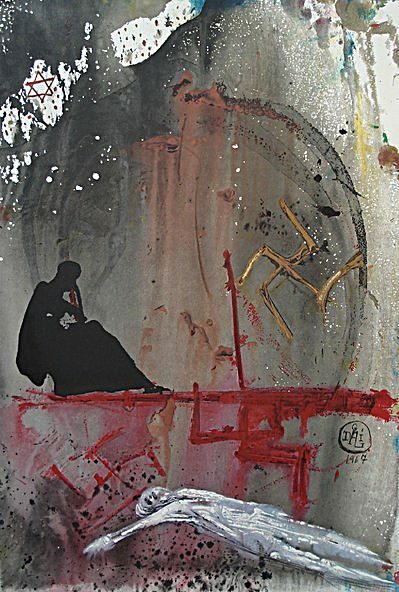 So did Dalí have any sincere connections to Jews, Judaism, or Zionism? The Surrealists famously attacked Dalí from as an anti-Semite, though the basis for this is unclear. 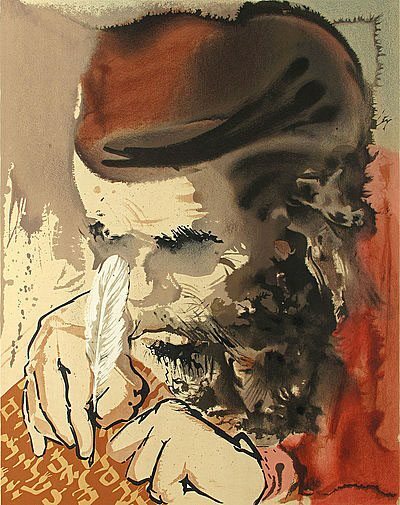 In later life Dalí named Sigmund Freud and Albert Einstein as his inspiration. He also maintained a friendship and productive thirty-year collaboration with the Jewish Latvian-American photographer Philippe Halsman. 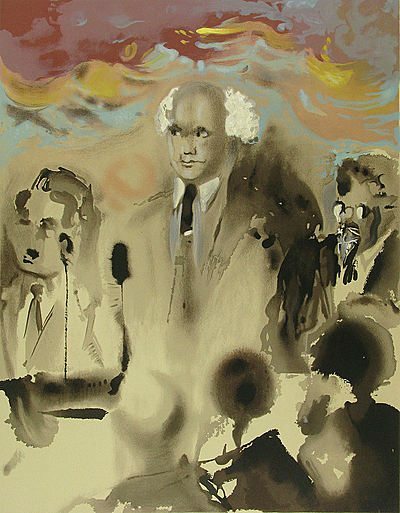 Adding to the mystery, nearly a decade before painting Aliyah, Dalí planned to include a scene in his unfinished film The Prodigious Story of the Lace maker and the Rhinoceros (1954-62) in which Paul Goldman’s 1957 photograph of David Ben-Gurion doing a headstand at Sharon Hotel beach would transform into a skull.